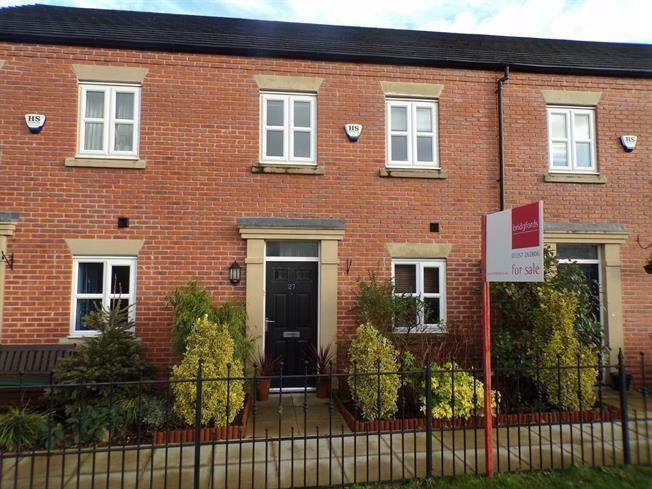 3 Bedroom Terraced House For Sale in Chorley for Asking Price £204,950. An exciting opportunity to purchase this superb family home which is set on three levels providing spacious living accommodation and briefly comprises of; hallway, WC, double bedroom, good size lounge; the lower level provides a utility room, modern fitted kitchen open to a dining and family area with French doors leading out to a landscaped garden; the top floor provides two double bedrooms including master bedroom with en-suite and family bathroom. The property is also garden fronted overlooking the canal and also benefits from two allocated parking spaces to the rear. A viewing is strongly advised to appreciate this fantastic property which is well presented throughout.